Welcome back to Something About Coins! 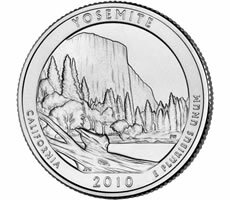 The U.S. Mint will launch their Yosemite 5 Oz Silver Coin on Thursday. The month of May turned out high sales of American Gold Eagles. Rare coin values have risen a pretty penny, per a report from Australia. It may be hard to tell the difference between a silver minted proof half dollar and a clad proof half dollar, and common pirate coins were typically pieces of eight. The Industry Council For Tangible Assets is fighting many coin-related causes. Read on for more information and enjoy!